While the Premier dithers on,the court rules against her TV broadcasts! Come On Caller,I might be doing a Faux Throne Speech,but call by-elections? In a ruling that was not shocking,given the judges comments last week,Provincial Court Judge Malcolm MacLean tossed out the application to televise the riot trials today. This following a morning of listening to the Premier on the radio telling the world she is going to review this and review that. She has been on the job for 11 months and she is just getting around to reviewing the processes that most people have been complaining about for some time. She had a great chance to show leadership on the issue of by-elections,but of course she didn’t. She said she would get around to calling them soon. If you live in Chilliwack or Port Moody,the Premier just “Whatever’d ” you. How did that make you feel? Nope, Her interview this morning was classic Paul Martin,lots of dithering,little substance. Posted on February 13, 2012 Categories B.C.Politics, BC Conservatives, BC Liberals, BC Politics, Canadian politics, Political Blog, PremierTags B.C. Liberals, BC Conservative Party, BC politics, by election, by-elections, Canadian politics, Chilliwack, Christine Clarke, Christy Clark, Elections BC, John Cummins, John Martin, political blogs, Vancouver Province, Vancouver SunLeave a comment on While the Premier dithers on,the court rules against her TV broadcasts! There is only one trial the people want to see on TV Christy! The people have no clue what is best for them! The people want the Hockey riot trials to be over! They want the guilty charged and convicted.They don’t care whether they are on TV or not. The only person in this province who does not get this is the Premier,Christy Clark. Even Vancouver’s Dipper Mayor understands that! In the name of safety,shame and fair hearings the judge that will rule on the application Monday thinks it’s a sham. This is another in a long line of misjudgements and gaffes made by the Premier! There is one trial, however, the people are anxious to see on TV. It will occur on election night in 2013.That day Christy Clark and her government will be judged by a jury of their peers. That trial date can’t come soon enough! It's bloody obvious isn't it! The people are not smart enough to connect with me! 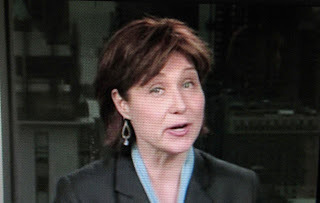 Posted on February 11, 2012 February 11, 2012 Categories B.C.Politics, BC Conservatives, BC Liberals, BC Politics, Canadian politics, Political Blog, Premier, UncategorizedTags B.C. Liberals, b.c.politics, BC Conservative Party, BC politics, by election, by-elections, Chilliwack, Christine Clarke, Christy Clark, Elections BC, gaffe, Globe and Mail, John Cummins, John Martin, Liberals, political blogs, Port Moody, Premier, Vancouver SunLeave a comment on There is only one trial the people want to see on TV Christy!